When building a production environment for applications, you need to account for network failures, power outages, and the like. When a broker fails or non-persistent messaging is used, messages can’t be delivered. Join our webinar to learn how Red Hat JBoss A-MQ achieves high-availability messaging. Red Hat® JBoss® A-MQ achieves high availability (HA) through clustering to enable continuous operation. Red Hat JBoss A-MQ high-availability concepts. 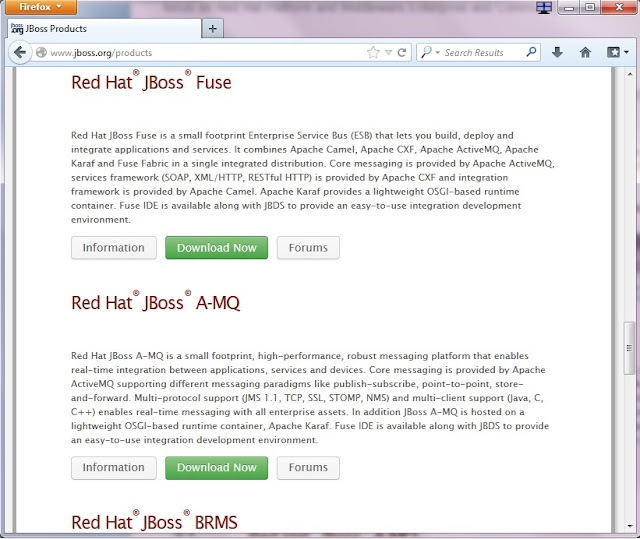 How to deploy complex Red Hat JBoss A-MQ networks. How to use a fabric-based network of brokers. We will also demonstrate how to configure, deploy, and test a fabric-based network of fault-tolerant (master/slave) brokers so that a failure of an active broker will not impact continued message flow. This document provides details on how to configure and deploy a network of ActiveMQ master/slave networked brokers. 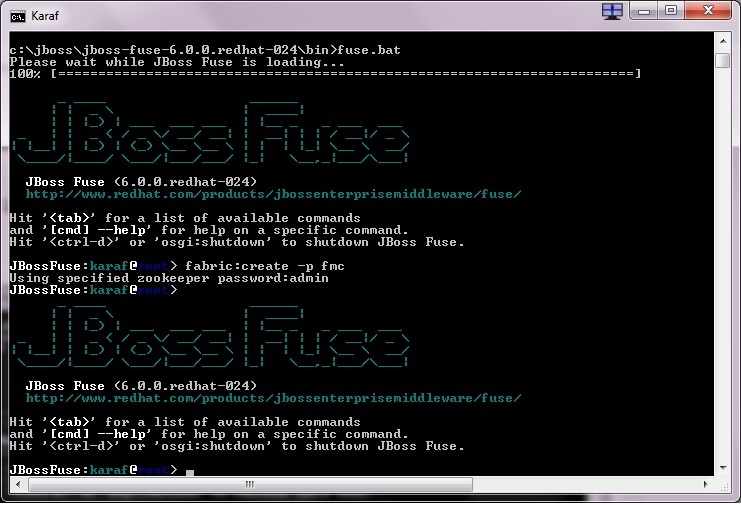 We will use the Fuse Management Console (FMC) to simplify configuring and deploying the configuration to multiple broker JVMs. We will also show how to do this through the command prompt. 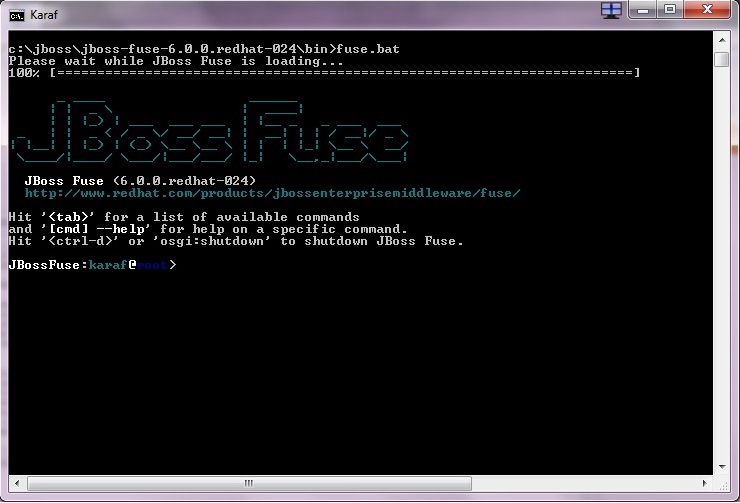 Step 5: Connect to the Fuse Management Console by browsing to http://localhost:8181/index.html and use the username and password from above for the admin user. You should see the containers page, with one active container for the JVM that is running the FMC. 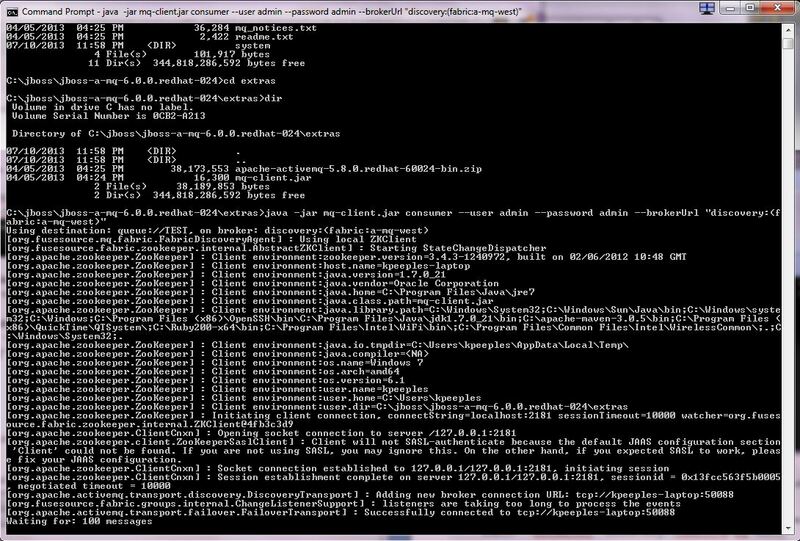 Step 6: Run the following commands at the command prompt. 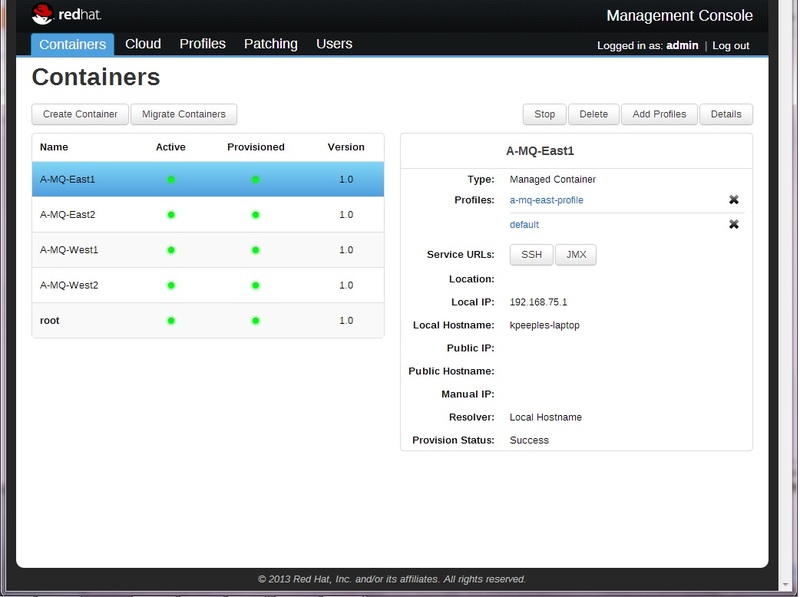 The containers and profiles can also be created in the management console. Now the network of brokers are running which is four instances of ActiveMQ, each running in its own container, networked together and with failover. 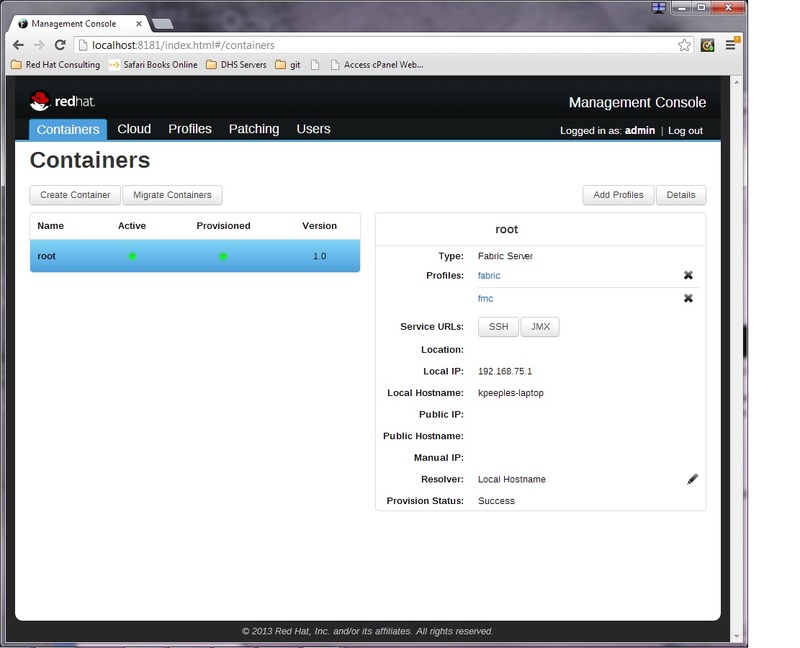 The containers can be viewed in the management console. 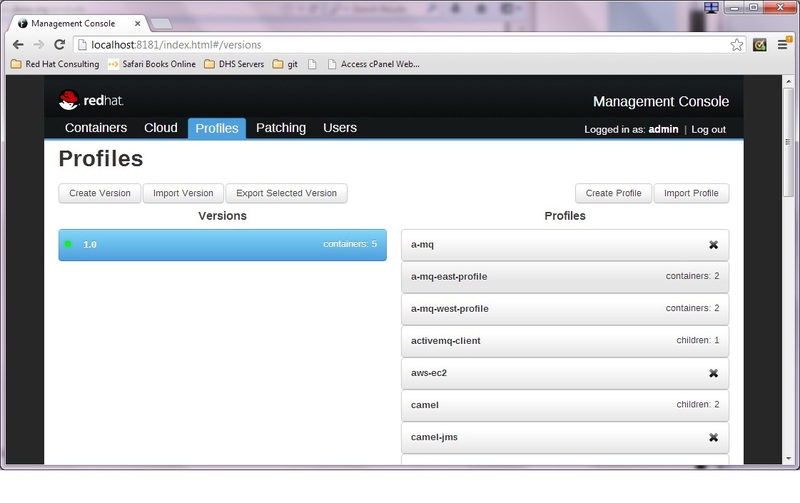 The profiles can also be viewed in the management console. Now we will test the brokers. 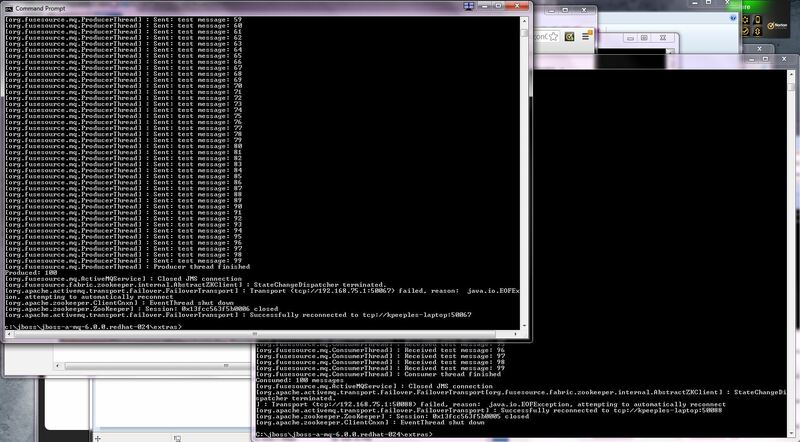 java -jar mq-client.jar consumer --user admin --password admin --brokerUrl "discovery:(fabric:a-mq-west)"
java -jar mq-client.jar producer --user admin --password admin --brokerUrl "discovery:(fabric:a-mq-east)"
As seen above 100 messages were produced and consumed. 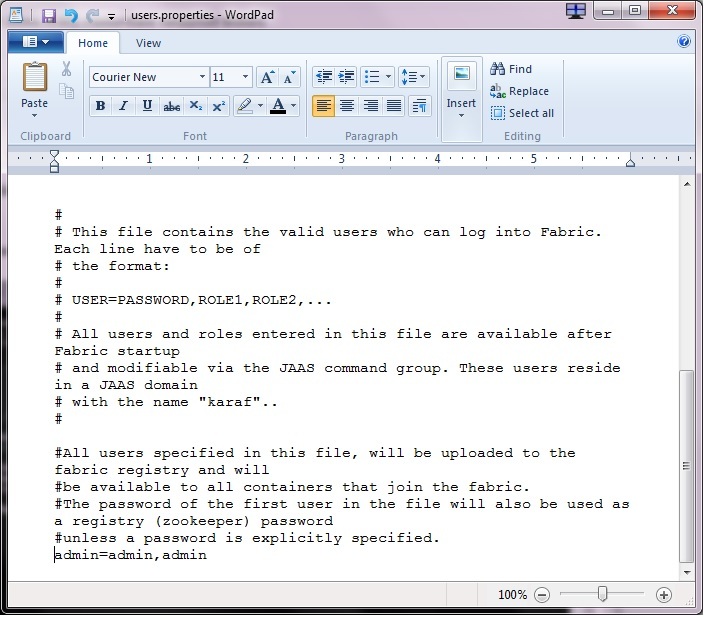 This example is also described at https://github.com/FuseByExample/external-mq-fabric-client/blob/master/docs/fabric-ha-setup-master-slave.md. Doug Engelbart, a visionary who invented the computer mouse and developed other technology that has transformed the way people work, play and communicate, died late Tuesday. He was 88. He always stressed his bigger vision of using collaboration over computers to solve the world's problems.